One day recently a friend told me me that one of his dogs had just died. (She’s just done the trip to Dignitas is how he put it). I’d painted her a few years ago. You can see her here: Tam. 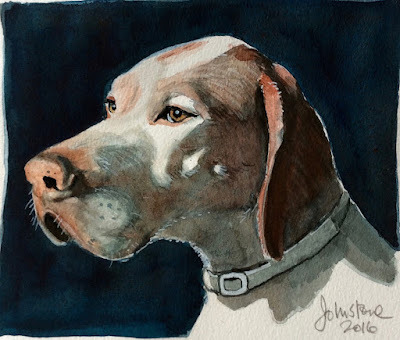 He was so despondent that I told him I’d paint the surviving dog for him as soon a possible. So I took a photograph and here it is. This is Jacques Chantre. He is 95 years old. He was awarded the Legion d’Honneur after the Second World War. I met him recently in the kitchen of a small house less than twenty minutes from my front door. He told me what happened to him in a maize field just over 70 years ago. He was waiting for an explosion. Jacques was on a mission with French patriots to blow up a train. One boy looked after the bicycles while Jacques and another kid placed the explosives sur la voie ferrée Bordeaux - Toulouse. They heard a blast which meant success. 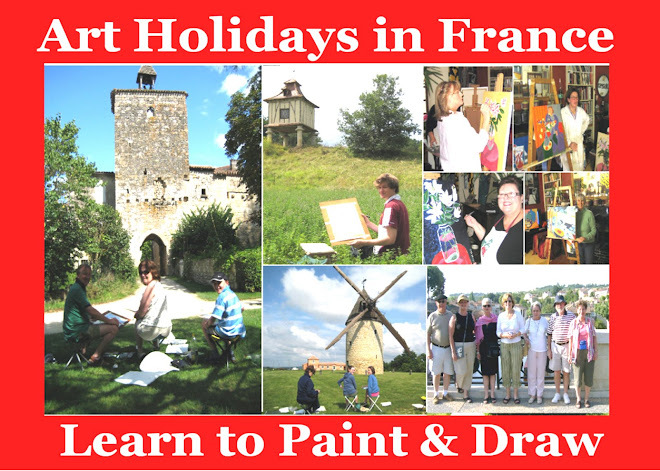 The next day the local newspaper described the event as an "attaque terroriste". On their way to cross the Garonne to look for other maquisards who were hiding in the forest, they were searched by “deux gendarmes francais” who found the revolver Jacques was still carrying. He was 23 years old, and that’s when the nightmare began. It lasted until the end of the war. They were manacled to the back of a police camion and taken to Eysses, the high security detention centre at Villeneuve sur Lot. After the fall of France in 1940, around 1.8 million French prisoners were sent to Germany. 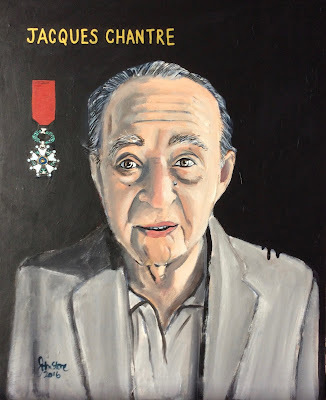 Jacques Chantre became one of them in October 1943, when, following a prisoner mutiny, he found himself on a train to Dachau. He was in a wagon designated “6 horses or 40 persons”. During his time in the death camp, he endured extreme privation and witnessed the most horrific, repulsive and despicable acts ever perpetrated by man. But one day in 1945 the prisoners noticed that the SS guards were no longer a presence. No one knew what was going on, and they stayed locked in their huts behind the wire. A few days later, a Jeep arrived in the camp. The prisoners were astonished to see an officer with long blond hair get out with a camera. She was a journalist with an American publication. The Yanks had arrived to liberate Dachau. If ever you’re in Nerac on a Saturday morning, don’t forget to look out for Jacques. He walks the 2 kilometres each way from his home to the market pour faire les courses every Saturday morning. The most impressive thing about Jacques today is his spriteliness and good humour. So it was both disconcerting and humbling to sit in the kitchen with this wonderful old man who survived one of the bloodiest episodes in European history. The portrait I painted of Jacques is for the collection of the Association Nationale des Anciens Combattants et Ami(e)s de la Resistance. I feel that this is the least I could do to show in what high esteem I hold Jacques.